Residential Organizing - Details etc. Clutter can impact all areas of a home and frequently isn’t isolated to just one room. Organizers understand that you may feel anxious or even paralyzed by the prospect of tackling this clutter, room by room. We can easily see the space in an organized fashion and will guide you through the de-cluttering process. There is no need to be embarrassed or shameful. Remember, Organizers get excited when they see an unorganized space – we live for the opportunity to transform the space and see the joy on your face when we have worked our magic! Details etc. can organize any room of a home. All services are confidential and non-judgmental. 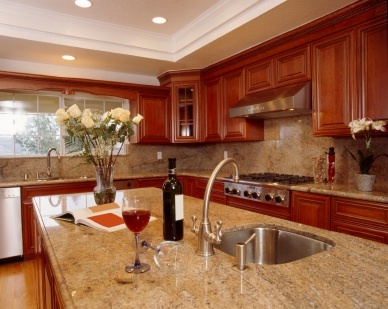 The kitchen is heart of the home, where meals and memories are made. Establishing the infrastructure of your kitchen will allow you to easily prepare meals, shop for only what you need and enjoy this marvelous space. We will establish flow and organization to minimize your steps to accomplish all kitchen-related tasks — set the table, empty the dishwasher, etc. 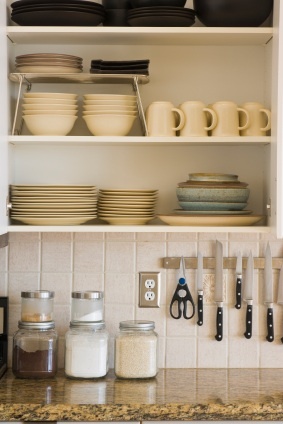 Imagine a pantry where you can easily see everything and a utensil drawer where things aren’t in a tangled mess. Clients often remark that they don’t have enough storage space and don’t know how to effectively utilize the space they do have. Leading busy lives, we don’t always have the time to properly set up our homes to stay organized. I will set up simple systems that will make it easy for you to stay organized, maximizing every inch of your closets and cupboards. Everything will have a home, allowing you to find anything you need quickly and easily! It seems like our kids have even more stuff than we do … what with all the toys, books, schoolwork and clothes. And staying on top of all of it is quite a challenge given the growing accumulation of “stuff” as they mature. It’s often a task that requires far more frequent purging and organization that the rest of the household. I’ll help you sort through the things your children have outgrown and organize what they currently use and wear. Whether your child is a toddler or a teenager, there are easy solutions to keep their spaces in check. And if they would like to be part of the process I welcome their participation. It’s empowering for kids to take a vested interest in their personal spaces. Plus, they’ll learn valuable organizing skills that they can later put to good use. Who knows, maybe they’ll want to help in other areas of the home! Designed to house our cars, our garages have become the bastion of last resort, the place where stuff ends up when we run out of room in the house. Many of us don’t even know what’s out there and how long it’s been collecting spider webs and dust! To help you reclaim your garage we’ll sort, purge and containerize so everything you keep is protected, labeled and easily accessible.